Have you seen that commercial Microsoft made for its new hinged touchscreen workstation, the Surface Studio? It’s really good. No, scratch that -- it's spectacular. It has all the hallmarks of what we've come to expect from an effective gadget commercial: an inherently cool and innovative product, pornographic close-ups of its mechanics and game-changing features in action (that dial thingy! ), and, of course, a magnificently melodramatic anthem to play behind it -- in this case, a cover of the Willy Wonka theme "Pure Imagination," which swells with emotional flourishes at just the right moments. It's the sort of spot that wins awards and literally gives you goosebumps. It’s also the sort of spot we expect from Apple, featuring the sort of wow-worthy product only Apple could make. Or, the sort of wow-worthy product Apple used to make. Apple's latest batch of ads is objectively good, too. After all, the company set the gold standard in tech marketing. What's telling, though, is that they're all missing the one key element that made Microsoft's Surface Studio spot so goddamn effective: something that surprises and impresses us, something that feels new. Apple seems to be making a desperate plea for loyalists to stay the course. Take the iPhone 7 campaign that's been all over the airwaves recently. Each individual spot is intended to get us excited about a feature it's added to the iPhone. One commercial focuses on the camera's improved capabilities as a low-light, nighttime shooter -- with a subtle nod at the phone's water resistance. Another shows off the phone's new stereo speakers. Yet the Hollywood-quality narrative, production value, and good ole Apple vibes cannot eclipse the fact that these feel like minor upgrades, many of which have long been available in many non-Apple phones. The iPhone is objectively no longer the best smartphone on the market, and its sales are down 5%. As companies like Samsung and Google make a grab for Apple's lemmings, Apple is quietly begging us to stick around. 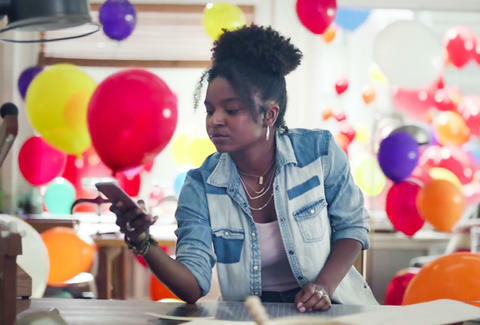 In the ad highlighting the new iOS 10 feature that allows you to send balloon-filled iMessages -- something that's actually kind of annoying, and many people choose to turn off -- the background music is not a thunderous call to creativity, like you hear in the Microsoft spot. Quite the opposite. Apple seems to be making a desperate plea for loyalists to stay the course: I will follow you, follow you wherever you may go, you'll always be my true love, forever. It's been years since Apple put out a goosebump-worthy product. Not too long ago, an Apple commercial really warranted our goosebumps. But it's been years since it put out a goosebump-worthy product. You get the sense that Apple is just coasting on its image -- for instance, releasing a $300 coffee-table book that contains nothing but photos of old Apple products. During the recent unveiling of the new MacBook Pro, Tim Cook spent a needlessly long time commemorating the 25th anniversary of the first Apple notebook, boasting about how influential the brand has been. When he finally got around to the new MacBook -- the laptop's first meaningful update in four years -- the main selling point was a new touchpad strip that's being criticized as a splashy gimmick, an awkward, unintuitive tool for the creative professionals it was ostensibly designed for. The creative class (or whatever you want to call it) has long sworn by Apple products as its must-have tools, but Apple's failure to innovate its computers fast or frequently enough is a clear signal to creatives that they're being deprioritized for the iPhone-buying masses. Understandable, since the iPhone is the most profitable product in history. But no one likes to feel ditched, which brings us back to Microsoft. The new Surface Studio is not a paltry, overdue update on a once-beloved device. It is unlike anything we've ever seen, and a jaw-dropping vision for the future -- a future that we once expected Apple to deliver. Apple’s version of the future is looking a lot like the status quo, and one that fans are less and less keen on following. Joe McGauley is a senior writer for Thrillist and genuinely hopes that Apple's Next Big Thing blows us all away.